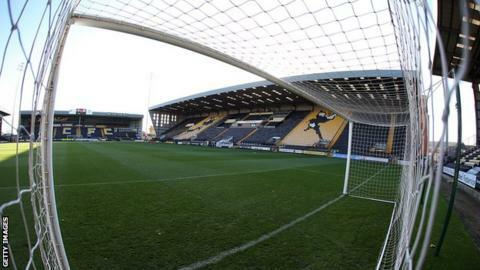 Notts County owner Ray Trew has agreed to sell the club to local businessman Alan Hardy. The League Two club were due in court on Monday to face a winding up petition over outstanding debts, but this has been adjourned to 6 February. Hardy was approached by Notts County chairman Trew in October having already made two offers to buy the Magpies. Trew put the club up for sale in February after claiming his family were subjected to "foul and mindless abuse". Hardy is chief executive of the Paragon group and owner of Nottinghamshire Golf and Country Club. Notts County have lost their past six League Two matches and are 20th in the table.